Let’s face facts, the best part of any holiday are the holiday appropriate themed sweets and deserts that go along with them. Personally I think Valentine’s themed deserts are the best – pink, red, white, and you can make all the heart shaped deserts to your heart’s content! 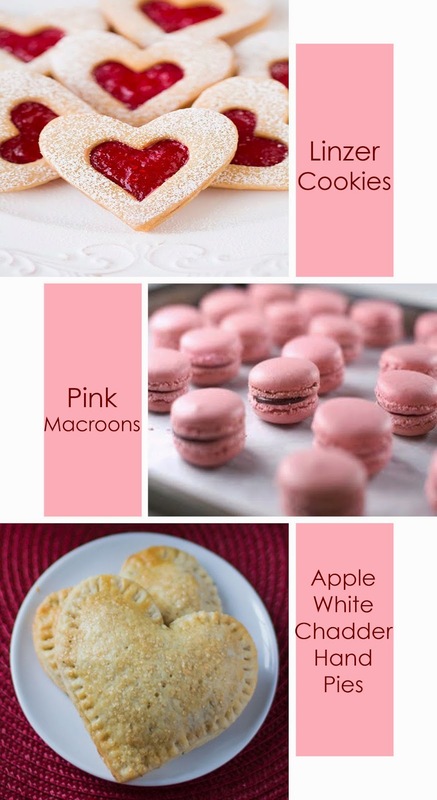 To add a little extra element of festive fun to this Valentine’s Day season here are a few fun recipes to try out! Oh, those macarons look so yummy! But i loooooove them! They are soo yummy! I have not attempted to bake marcroons, but I hear they are not the easiest things to make. Those macaroons looks so yummy! yum!! I need to work on my macaroon baking skills. Those little cookies are so tricky! Thanks for featuring me!!! Anytime :). I love macaroon I wish I was skilled at baking them or that there was a good bakery to buy macaroon! These treats look awesome, especially the cookies. I haven't made Valentines Day treats in awhile so I need to try one.